The Rainbow Games brought out the best of Columbia High School on Tuesday afternoon. 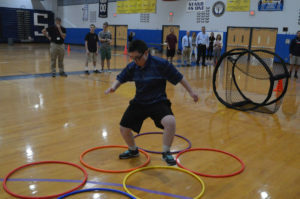 About 10 students with special needs were cheered on by classmates, teachers and administrators as they competed in a series of track and field events in the school gym. 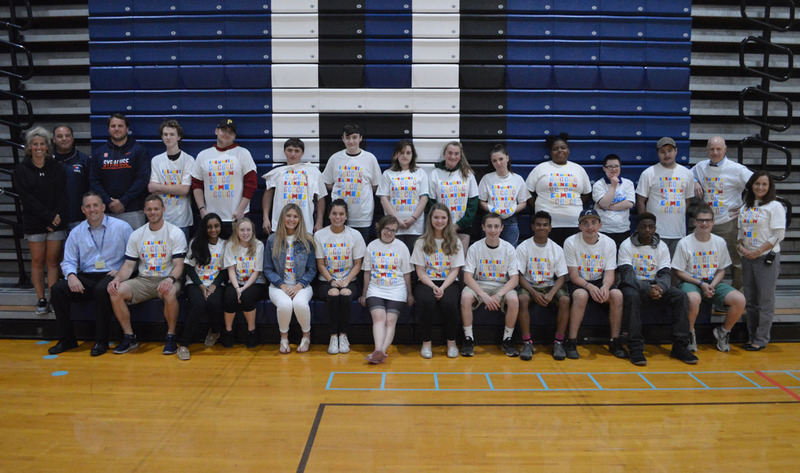 The Rainbow Games were coordinated by Physical Education teachers Courteny Hammond, Chris Hosley, Ryan Jones and Anthony Servidone. They were assisted by student leaders who demonstrated each event for the participants, setup the courses and kept records. After the competition, students received medals and official Rainbow Games t-shirts.